Bottom-dweller that lives in fresh and slightly brackish waters, including shallows, clear pools and deeper areas. Prefers slow-moving waters with a soft bottom and lots of vegetation. Found in ponds, lakes, streams and rivers throughout the Bay watershed. 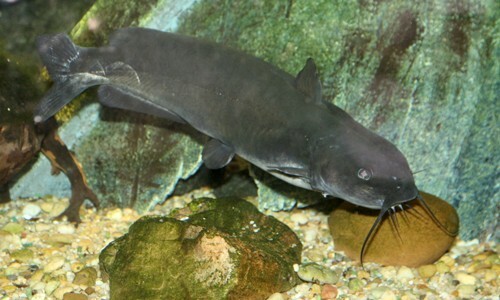 The brown bullhead is a smooth-skinned catfish with a mottled, brownish body and whisker-like barbels around the mouth. 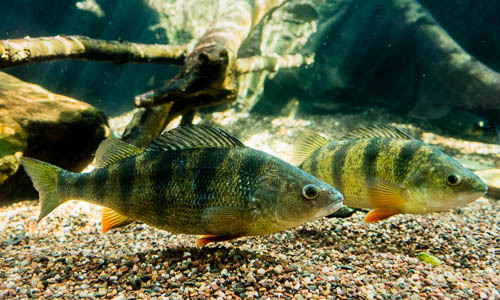 It lives in slow-moving ponds, streams and rivers throughout the Chesapeake Bay watershed. The brown bullhead grows to about one foot long, but can be as long as 20 inches. Its olive or yellowish-brown body is mottled with brown or black. It has a yellowish-white belly. It is smooth-skinned with a broad, flat head and four pairs of dark, whisker-like barbels around its mouth. Sharp spines appear on its dorsal and pectoral fits, and its tail fin is squared. Brown bullheads are bottom-feeders that eats algae, insects, mollusks, crustaceans, crayfish and other fish, using their long barbels to taste for prey. Larger predatory fish may prey upon brown bullheads, especially young. 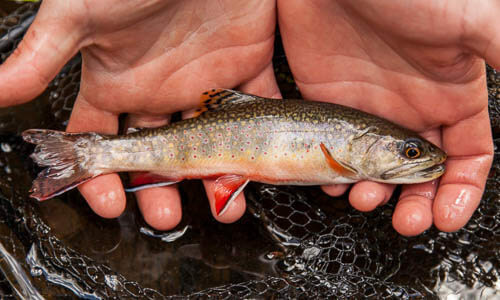 Spawning occurs from April through June. The parents build a nest in a dark, protected area such as under a rock or inside a hollow, submerged log. The female lays her eggs into the nest. Both parents guard the eggs and young. Brown bullheads can live as long as 7 years. The brown bullhead is considered to be a delicious fish to eat.